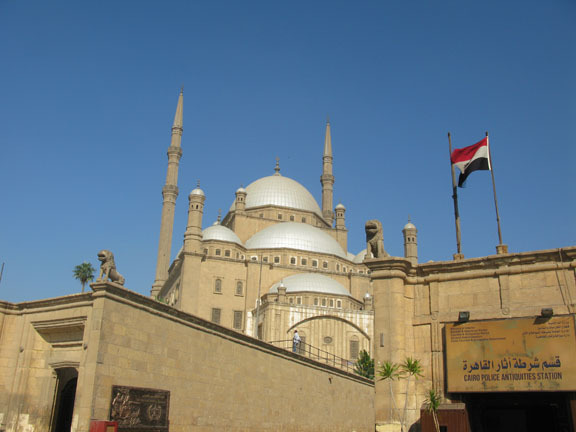 The great Mosque of Muhammad Ali Pasha (also known as the Alabaster Mosque) is located in the Citadel of Cairo. 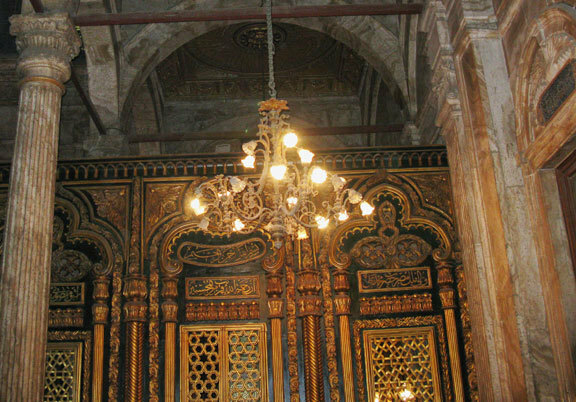 It was commissioned by Muhammad Ali Pasha-regarded as the founder of modern Egypt - between 1830 and 1848. 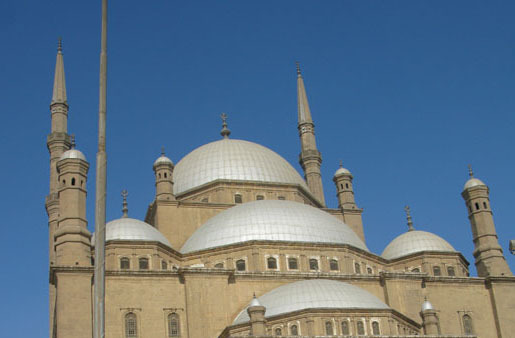 The mosque was built with a central dome surrounded by four small and four semicircular domes. The central dome is 69 feet in diameter and the height of the building is 171 feet. Two elegant cylindrical minarets with two balconies and conical caps on the western side of the mosque rise to 269 feet. a monument erected in memory of a deceased person whose body is buried elsewhere. 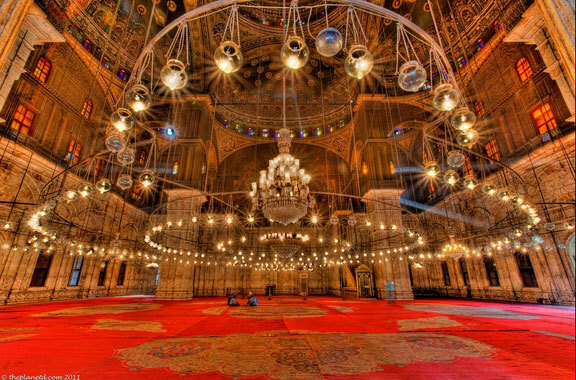 The grandeur of the large central chamber is enhanced by the circle of small lamps hung in the middle of the praying area, and just above the main dome of the mosque. Two elegant cylindrical minarets are situated on the western side of the mosque, and rise to 269 feet. 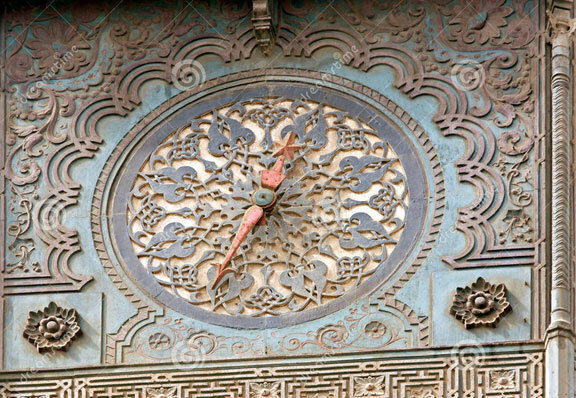 On the west wall of the courtyard is an iron clock, presented to Muhammad Ali by the French King Louis Philippe. It has never worked. 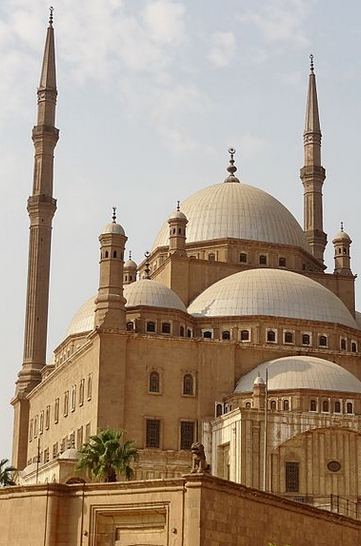 Cairo's Alabaster Mosque dominates the skyline of the largest city in Africa.